Bedtime reading and first reader for children. 128 pages and 74 high quality illustrations. 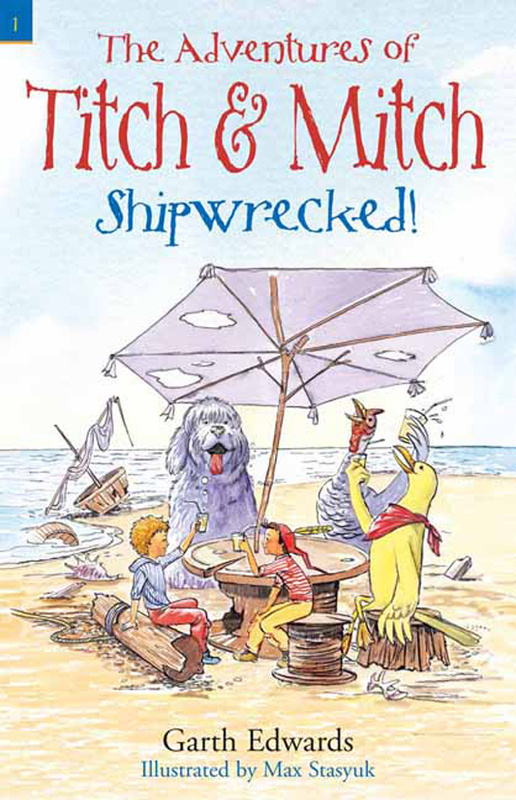 Titch and Mitch are two pixies who get shipwrecked on an island were they discover a whole new world of adventure, danger and wonderful new friends. Exciting stories with humorous escapades involving a yellow seagull, a flying bicycle, a dragonmouse with toothache and Wiffen the most intelligent turkey in the world. Titch and Mitch are always on the move. Enjoy making friends? Exciting adventures? Helping others? Welcome to the world of Titch and Mitch! Kindle Book Review(5*): Page after page of innovative action and unusual adventures keeps the interest of children with its innocent fun, so this pixie tale gets 5 stars from me. The illustrations are reminiscent of the 1930’s, almost each page of this e-book has adorable pencil drawings that add tremendously to the story. I looked forward to see the next one (loved the Dragon Mouse!) 5 stars. I hope to read more in this series and am glad to see it in e-book form. The Bookbag – “There are some great story ideas here… the illustrations are lovely. My children insisted that the stories I told them should be published and so they were. I found they loved stories about dragons, wizards, fairies, goblins, giants, talking animals so together we made up a world of fantasy. I showed them how to use the magic words what if? What if the huge hedge that ran alongside a holiday home we once rented in Wales was really hiding a mysterious and forbidden land inhabited by strange creatures? This led to an exciting adventure book called Escape from Mercy Hall, which turned into a trilogy. My publisher produced eight of my titles before the state of the book industry forced them out of business. Now I’m on my own. A thrilling new adventure by Garth Edwards with illustrations by Max Stasyuk. A book for boys and girls age 9-12. The first of the Thorn Gate trilogy. They heard a loud crackling noise behind them. Before they could move, the crackling noise grew louder and as they watched, the long slim poles rapidly bent in all directions. Branches twisted and thorns stretched out again. In just a few minutes the crackling stopped and the hedge was back to normal; huge, dense and totally impenetrable. 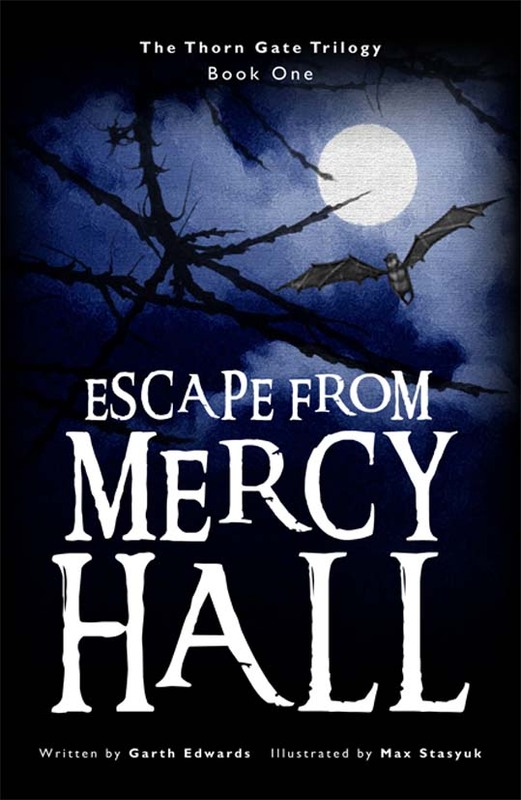 The four orphans from Mercy Hall are stranded in a strange new land where Muttons (savage sheep), strange people and curious creatures live under the control of the cruel Robes. They travel through the mysterious Rainbow Cave where living creatures can be changed for better or for worse. 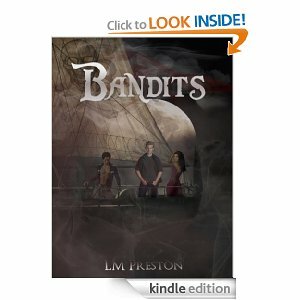 Dangers abound around every corner and the children set out on a mission to free slaves and escape themselves? The land behind the hedge is full of weird and thrilling adventures. Wayne was a naughty boy who never ate his vegetables; instead he just ate candy cane! One day though a friend tries to show him what he is missing, will Wayne listen? 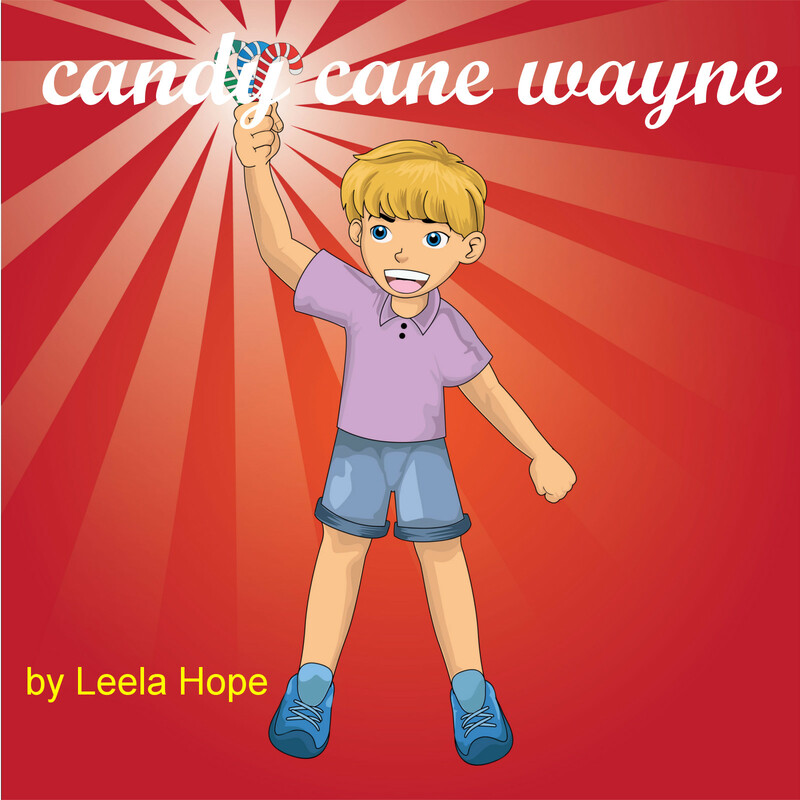 Leela Hope is a writer with over 22 years of experience in writing endearing children’s fiction. Her lively characters have entranced and captivated her audience, and she has taken great joy in writing the three series of books, each beautifully illustrated with love and care. Her stories concentrate on the adventures of floppy eared bunnies and wide-eyed children learning lessons in life, before returning home wiser and eager for sleep. She writes her stories to entertain the very young, but also to educate. Her vision is always of a parent sitting on a child’s bed, reciting the stories each night, while the young one drifts off to sleep, lulled into a dream world full of fun and adventure. From her very earliest years of childhood, Leela made up stories in her head, telling them to her younger brother and sister. The stories flowed easily from her mind, and it wasn’t long before she realized she had a gift for writing. By the age of 14, she had already written a small book of short stories for her own entertainment, and by the age of 22, she had published her first full-fledged children’s fiction in several magazines. Leela was destined to be an author and she knew exactly what genre of fiction she wanted to dedicate her life too. Born in San Diego, California, and still residing in the area, Leela studied English Literature at Berkeley, earning a degree in 1989. Her writing covers a span of several genres, but she always returns to her first love, children’s fiction. She enjoys scuba diving and visiting wildlife parks, seeking new inspiration for cuddly characters for her stories. 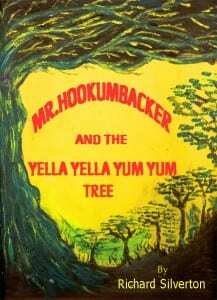 Mr. Hookumbacker and the Yella Yella Yum Yum Tree is a children’s adventure book. The Forest of the Cracking Stone is full of wonder and natural beauty. It is also a place of magic as well as honey tickles, bumbletums, sapling shines and the tree master Mr. Hookumbacker. When the sapling shine Holly Shallina leaves the safety of the Forest of the Cracking Stone, she becomes trapped by the sun between the full moons. Holly’s friends Buddy Trix, Cherry Petals and Shubbie Willows ask for Mr. Hookumbacker’s help. When he agrees a race against time to find a Yella Yella Yum Yum tree begins. They must journey far away to a forbidden wood full of grubble wig and needle node weeds and return in time to save Holly Shallina. My career as an author has slowly emerged during the time I have spent on the road touring Spain as a blues musician. I consider myself most fortunate to have a creative mind which enjoys the delicious avenues of storytelling. Many of the songs I perform on stage are self-penned stories delivered in my own unique style. Although I live in a cave house in Andalucia, when I go on tour I live in a motor home. It is between gigs that I have discovered a new outlet for my creativity in the world of fictional writing. Now that Mr. Hookumbacker and the Yella Yella Yum Yum Tree is published and laid down I am looking forward to exploring the new ideas that I am currently working on. I would create and tell short Mr. Hookumbacker stories to my children when they were small and I wanted to explore using the characters and scenarios in a longer tale. Ryleigh Simmons just turned seventeen. After losing her parents in a fatal accident, Ryleigh moves in with an aunt she was unaware of and is introduced to family she never knew existed. After finding out she is a descendant of the Fae, she embarks on a journey of self-discovery with the assistance of Tristan – a long lost cousin. Ryleigh’s Uncle Finar wants nothing more than to consume her and those like her to become the most powerful Fae in existence and Ryleigh is the only one who can stop him. Samantha Andrews has the perfect life: great parents, great grades, and a boyfriend who just happens to be quarterback of the football team and the hottest guy in school. But a secret from her past turns her world upside down. Sam learns she was part of a genetic manipulation project run by a global corporation, giving her special abilities. Now the corporation wants her–and the technology inside her–back! She goes on the run and ends up finding another person who was part of the experimental project. He’s tall, blond, tan, and completely irresistible! Together, they’re both in danger and a rogue scientist discovers yet another secret lies inside them. Stephanie Karpinske’s high school days are long gone but she still loves to read a good teen novel. A former book editor, Stephanie has worked on several best-selling nonfiction books. The Samantha Project, a YA science fiction/romance book, is her debut novel and is the first in The Samantha Project series. Stephanie lives in Des Moines, Iowa. Daniel’s father has gotten himself killed and left another mess for Daniel to clean up. To save his world from destruction, he must fight off his father’s killers while discovering a way to save his world. He wants to go it alone, but his cousin and his best friend’s sister, Jade insists on tagging along. Jade is off limits to him, but she insists on changing his mind. He hasn’t decided if loving her is worth the beating he’ll get from her brother in order to have her. Retrieving the treasure is his only choice. But in order to get it, Daniel must choose to either walk in his father’s footsteps or to re-invent himself into the one to save his world. LM. Preston, author of The Pack and Explorer X – Alpha, attended college at Bowie State University, and worked in the IT field as a techie and educator for over sixteen years. Her first published novel, Explorer X – Alpha, was the beginning of her obsessive desire to write and create stories of young people who overcome unbelievable odds. She loves to write while on the porch watching her kids play or when she is traveling, which is another passion that encouraged her writing. Magic and magical spells begin with the self, and in this tween fiction adventure story three children are faced with overcoming their inner demons by the use of magic with the help of three witches. Phoenix, Mirus, and Jewel, each have problems. That’s because they live such ordinary and meaningless lives. But everything changes when these children summon the aid of three witches, and begin to discover the truth about their hidden abilities. ​This book is everything unworldly; it has fantasy, magic, witches, and sci-fi, from the surprising way Jewel is greeted by a witch dripping in sapphires -who can fly, to the unique mystical lessons received by the children inside an old cave, Phoenix, Mirus, and Jewel, each find themselves drawn deep inside a mystical reality and closer to finding their true power. Enter a magical world of witchery that takes you on a journey into the very nature of reality itself. Amethyst left San Bruno to attend San Francisco State University, where she earned a Bachelors of Arts Degree in Philosophy. Not satisfied with her education, Amethyst decided to continue on to graduate school. Amethyst then transferred to John F. Kennedy University School of Law, in Walnut Creek, California. She was placed on the Dean’s list each year, and won a Witkin Award by the State of California for the academic mastery of Evidence. After graduating law school and not having the burden of homework and class, the urge to write The Witch Lessons series was too great. Amethyst decided to place the first book on amazon because of the upward trend of e-books and the great influx of e-readers. Amethyst currently resides with her husband in San Francisco, California. She can be seen at the local writers conferences and gatherings. Relive Greek and Norse myths as never before. Eighteen-year-old Jagger is addicted to his imagination. He scorns the real world and lives inside his own head. He is happy to withdraw completely until his daydream world becomes a battleground for Odin and Zeus. When Jagger actually feels his skin burning from Zeus’s thunderbolt, the edges of reality blur even further. A contest of myths is formed where Greek is pitted against Norse. Under Loki and Prometheus’s guidance, Jagger acts as judge. He is Perseus as he cuts off Medusa’s head and Loki as he schemes against the other gods. He sees Odin face the frost giants at Ragnarok and Achilles set sail for Troy. Inspired by his mythological heroes, he starts working for a newspaper where his investigations lead him into real danger. Prometheus tries to help Jagger, but getting aid from Loki, the trickster, could be double-edged. Will ancient truths help Jagger in the modern world? And can Jagger judge the contest of myths without further enraging the warring gods? David was born in Australia, but moved to Ireland at an early age. The early globe crossing must have gone to his head, as he has since backpacked through and lived in numerous countries. He grew up on a farm as the eldest of nine unruly siblings, but since his escape, he prefers city living. His electronic engineering degree is currently gathering dust while he tries new and strange pursuits such as novel writing.